The Valley Springs School District is accepting School Choice Applications through May 1, 2019, for the transfer of students for the 2019-2010 school year. Click here for form. Valley Springs Elementary & Middle School! The Valley Springs Elementary and Middle School are in the top 5 % of all Arkansas public schools in student performance. The Middle School is in the top 6-10% of all public schools in Arkansas in student academic growth. 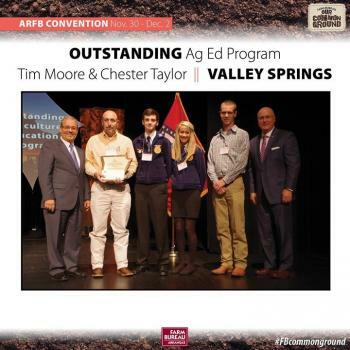 Congratulations Valley Springs High School! VSHS was ranked #11 in Arkansas and #1582 in the National Rankings. There were 94 Arkansas schools honored in the U.S. News Best High Schools ranking, including one gold medal, 26 silver medal schools and 67 bronze medal schools. Sport Physicals must be completed by doctor prior to first practice. The mission of Valley Springs Public Schools is to share in the community’s responsibility for the development of each student into a citizen who can stand confidently, participate fully, learn continually, and contribute positively in his/her world.